The high court in Kigali has acquitted Diane Shima Rwigara and Mukangemanyi Rwigara. Recently released on bail, the Rwigaras have been battling a court case where they were accused of inciting insurrection and sectarianism among others. 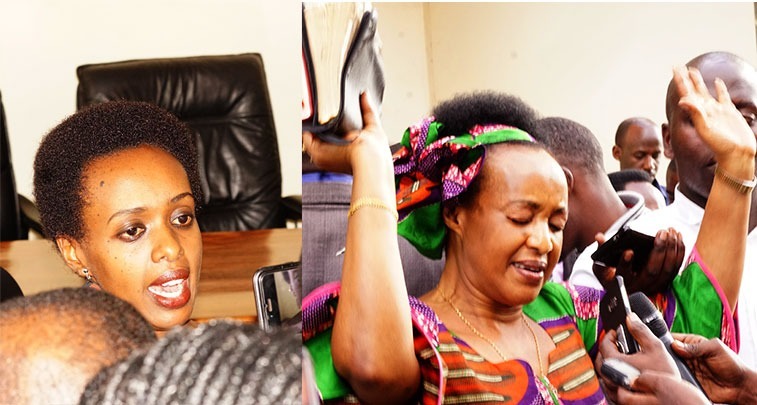 Diane Rwigara was accused of inciting insurrection and forgery while her mother Adeline Mukangemanyi Rwigara was being accused of propagating divisions or sectarianism. On November 7, 2018, during the hearing the Prosecution had requested that Mukangemanyi be convicted for crimes of sectarianism and her co-accused be convicted of inciting the public against the government. The prosecutor also asked for 22 years for Mukangemanyi and a fine of Rwf1 million and 15 years for her co-accused. For Diane Rwigara, prosecution had requested for 22 years and a fine of Rwf3 million. Justice John Byakatonda and two other High Court judges ruled that the prosecution did not file evidences proving that Adeline Rwigara’s accusations qualify as crimes. The judges ruled that the intercepted WhatsApp audios of Adeline Rwigara delivered to her co-accused Tabitha Gwiza, which was presented by prosecution as evidence; do not prove promotion of sectarianism or inciting public insurrection. 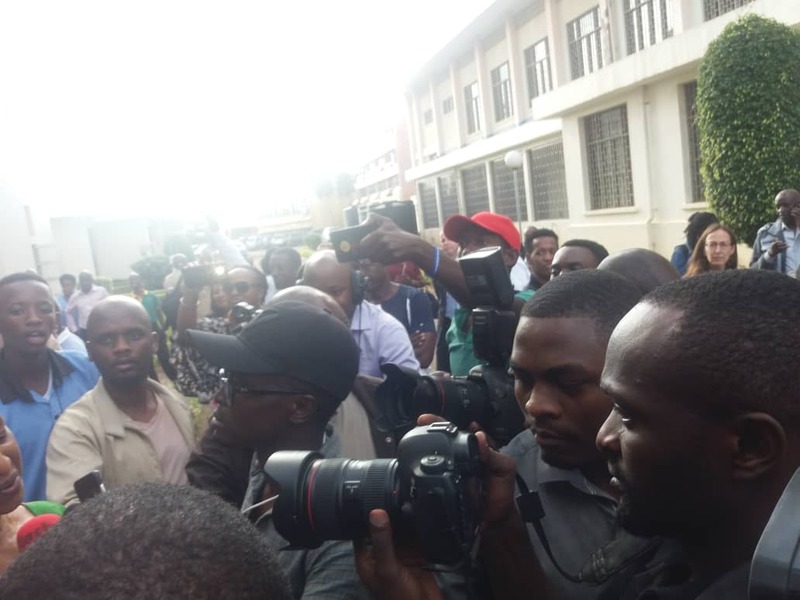 The court said the audio recordings shared between Adeline Rwigara to her sister Tabitha were not shared with any members of the public therefore nothing to prove inciting insurrection against the accused. On Diane Rwigara, the court also indicated that the allegation of inciting the public against government has no substantial evidences. The judge said that the jurisprudence that was suggested by prosecution in Deo Mushayidi’s case to accuse Diane does not apply in the present case. The argument is that in the former, the accused put his thoughts in writings which is not the same for Diane. The judge also added that the accusation cannot be qualified as a crime if it does not show a direct attempt. On the accusation that Diane Rwigara said that the power and wealth is concentrated in the hands of the ruling party members and that the national electoral commission is serving the ruling party, the court found these not enough evidences to constitute a crime of inciting the public against the government. On forgery, an allegation where prosecution said that Diane Rwigara presented signatures of dead people to the Electoral Commission to register for presidential candidacy, the court ruled that the evidence was not substantial. The judge said prosecution based on the penal code instead of electoral commission laws while accusing Diane of forgery. The ruling comes two months after Diane Rwigara and her mother were released on bail with court ruling that there were no substantial reasons to remand them. Investigation on the Rwigaras’ case started early September last year and they were arrested a couple of weeks later. Anne Rwigara, the sister to Diane Rwigara would be released later when Nyarugenge intermediate court found no substantial evidence incriminating her. The case was characterised by a lot of emotions from the defendants. In all appearances, Mukangemanyi Rwigara was carrying a bible and would put it up whenever she wanted to insist on her point. Similarly, the ruling was accompanied with much excitement from the Rwigaras’. The case was highly covered by the media.